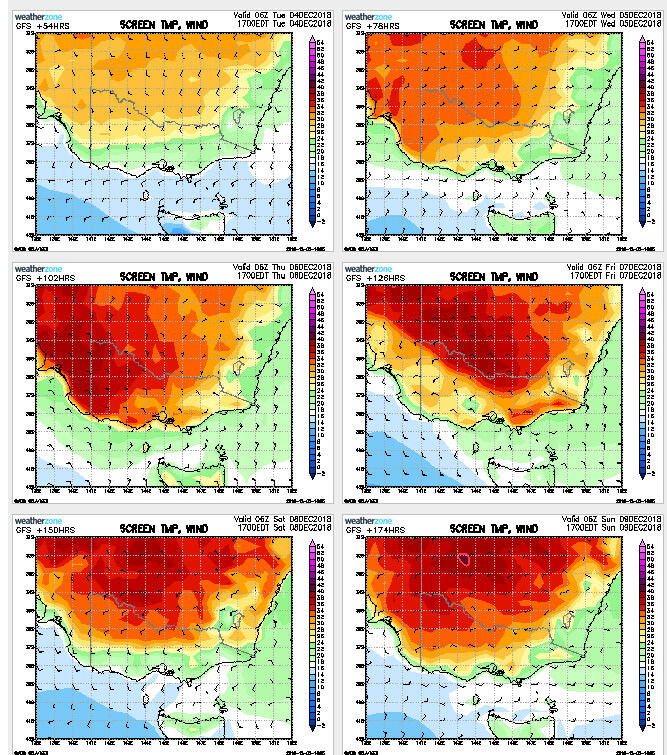 From Tuesday onward a high will it out to the East allowing the first significant, multi day heat even to build up in Victoria this will be followed by a Cool Change sometime on Friday, with little certainty of the time of this change. Some models have it moving into the SW in the morning and reaching Melbourne by late afternoon and others pushing it through much latter not reaching Melbourne until after midnight. This change is looking stormy at this time. Models also indicate this change may not even reach areas North of the divide allowing the heat to continue into the weekend and possible rebuild next next week. Friday: Stormy change moving though leading to little confidence in temps but looking cooler in the SW, very hot 42 in Mildura, Mid-High 30's in Central and Eastern areas with 36°C for Melbourne. Summers about to arrive with a bang, likely looking at our first widespread Total Fire Bans on Friday. Will also dry out most of the recent rain and meaning we enter the danger period from this event until any major rain arrives. Yep, looks like it will be getting pretty hot in Melbourne this week. I have to watch out for any bushfire activity in the area of my new workplace (Mt Dandenong), as the area around my work has not seen any significant fire activity for many years. And other TV sites around the place in the bush that I look after. At least on Code Red days I am not required to attend the office ! Yep agree with what’s said above. Quickly (around west south gippy). Yeah agreed, despite the recent rain it has mostly been in the 10-40mm range which only has limited impact on the drying cycle especially after such a significant deficit leading into summer. Again for forested areas the impact is limited the bush will still be very dry from the rainfall deficiencies and while the finer fulls will be nice a wet after the recent rains it only take a few 30°+ windy days to dry them out. Still a long way out but feeling like a change is about to occur, the cut of lows which has dominated the last month are gone and models are showing a rapid re-warming following the event of this thread, unlike previous events where hot days have been followed by almost a week of cooler weather. Lot of heat inland, sections of WA looking at 47 this coming weekend. Yep, looks like the fire season for NW Vic will be underway by the time this thread expires. Latest models for the weekends change for Vic starting to show a bit of promise, only for localised areas, ...and probably will involve lightning. 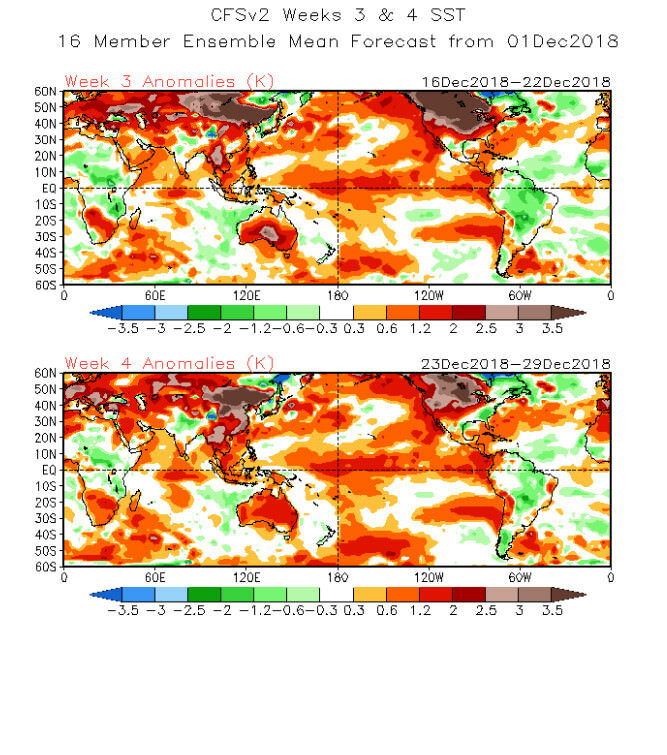 Bigger picture seems to show the climate heading towards easterly dip scenarios for E Aus towards the end of this thread. 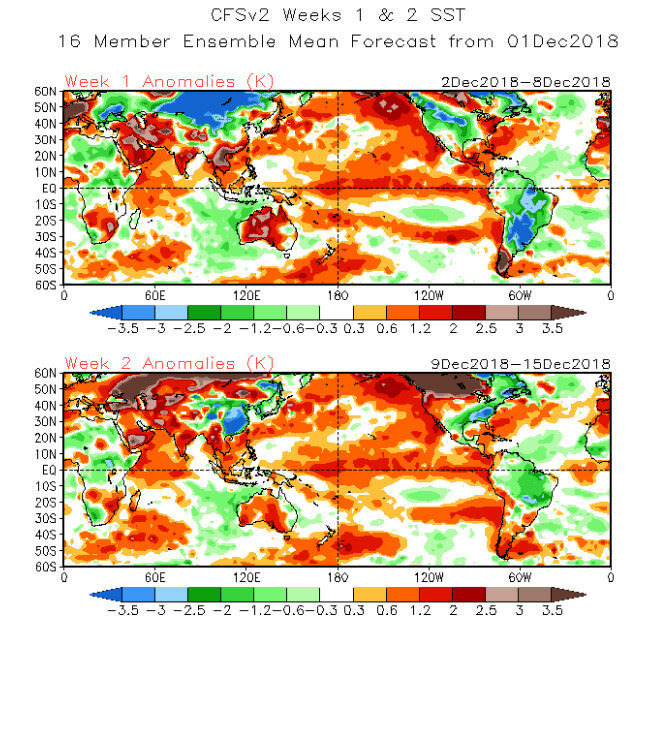 IMO that will repeatedly be the story through to mid Jan, due to the "door becoming open" for moisture to advect into the seasonal Aus heat low ...from both the Coral Sea and the (more typical) NW Aus coast. Fire-wise, lets hope my uneducated gut feel is close to the mark. Hi Guys, I will be down in the Yarra Valley from Wednesday to Saturday, looking forward to this up coming warmth. Time for summer had enough cold winter. 10am Friday slow moving trough moving in West chances with isolated thunderstorms onward until Tuesday 11th by Stormcast chart and if Virga. Thinking along those lines also Petros, although not with the same fluency of expression ( ). December could turn out OK re fuel rates, ie hopefully not making it worse and even improving moisture levels in forest floor fuel. Be nice if this bit of a "wet turn" continues and it will be interesting to see what eventuates. January, seen 176mm January's locally not that long ago, it was like living in the tropics. That would be nice, camera is ready to go. The passing LWT sweeping through the far southern bight waters over the weekend looks to sag back away south/decay by Monday, leaves Vic/SE Aus seemingly in a potential summer easterly dip scenario into next week? - will next week deliver the "spring" storms we have missed this spring over Nth Vic regions? really hard one to pick, models are all over the place about what happens after Saturday in fact there is still little confidence in the timing of Fridays change which is still all over the place largely because the change will effectively stall and decay at some point. Models are also struggling with the moisture levels and storm potential with this front. Latest models including the GFS 06z run which WZ doesn't see are keeping the easterly drip further North leading to little significant rain, EC has been very confident of this all week. All comes down to the strength and speed of the next high. Either way next week will be warm to hot just a matter of if it will be hot and humid with storms or dry. Overall lets just say its not a great time to be a weather forecaster if your looking trying to compare the major models! Looks like down grade stalling decay trough will bring SE change. Lot of temp upgrades for Friday with change pushed back, now looking 32°C here in Portland, 38°C for Melbourne, 40°C Horsham, 39°C Bendigo, 41°C Mildura. Wind also predicted higher already looking at Severe FDI in Mallee, Wimmera and Northern Country, may extend to all western and central districts with only a small further increase. 34°C in Mildura today will be there lowest in the next week. And potentially windy bad fire day Friday!! Green, but the bush is very dry. Like there’s not to much in it at this stage? Windy up here of 34c. Stay very hot in North until good cool SW change next weekend Saturday 15th with some rain likely. My station is displaying 39.4C here atm, fresh northerly. A few more cumulus heat clouds trying to have a go today compared to yest. Sad to hear South Ballarat and Little River fires. Thunderstorms is warning might development somewhere in West might case more problems is lighting strikes.